Delmas has announced two new services: one between Boston and East/West Africa & Indian Ocean, and another between Benin and Atlantic Europe & the Mediterranean. Delmas has announced two new services: one between Boston and East/West Africa & Indian Ocean, and another between Benin and Atlantic Europe & the Mediterranean. 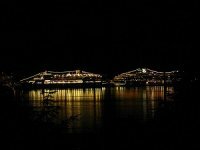 Effective March 23rd, Black Pearl service vessels will call at Boston every fortnight, connecting with weekly transatlantic services via Kingston. Containers will be transhipped in Europe onto the Delmas lines to East/West Africa & Indian Ocean. This service completes Delmas' extensive coverage of the ports of the US and Canada East Coast (Toronto, Montreal, Halifax, Boston, New York, Philadelphia, Norfolk, Charleston, Savannah and Miami), as well as the US Gulf port of Houston. A new weekly service to Cotonou has also been launched to transport containers from Atlantic Europe and the Mediterranean. From Northern Europe: CMA CGM EPIC vessels will carry containers from Southampton, Rotterdam, Hamburg, Antwerp and Le Havre to Tangier, for transhipping aboard Battuta Express 1 vessels to Abidjan, Cotonou, Lome and Tema. 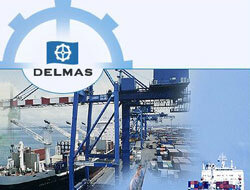 From the Mediterranean, Delmas DIAMS vessels will carry containers from Barcelona, Marseilles, Genoa, Naples, Malta and Valencia, also for transhipment via Tangier. 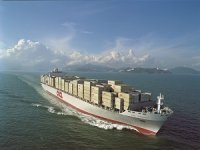 OOCL to Launch New Asia-South Africa ServicesOrient Overseas Container Line (OOCL) has announced the introduction of three new Asia-South Africa services that include direct calls to ports such as Durban, Cape Town and Port Elizabeth. BGC Enters Shipping by Buying Poten & PartnersGlobal financial and technology giant BGC Partners has completed the acquisition of Poten & Partners, a ship brokerage, consulting and business intelligence firm specializing in LNG, tanker and LPG markets. 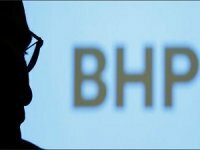 Derailed Train Expected to Impact Australian ExportsMining giant BHP Billiton expects some interruption to its Australian iron ore exports after a nearly 3-km-long train loaded with the commodity was forcibly derailed this week after running away en route to a key shipping hub. 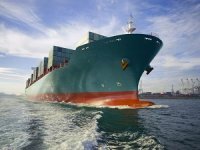 Ship Finance International Buys 4 ContainershipsShip Finance International Limited has inked a deal to acquire four 14,000 TEU containerships in combination with long-term time-charters to an unrevealed container line. 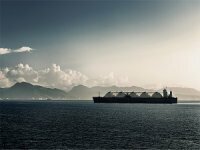 LNG Shipping Reaches All-Time High Traffic DensityThe cost of shipping liquefied natural gas (LNG) has hit 200 thousand a day, exceeding a 2012 peak of 180 thousand Dollar a day. 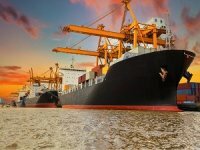 Major Partnership For India and China in TransshipmentOver the past several years, the BRIC member nations of India and China have experienced vibrant economic growth.